Drs. Dory and Khalida Stutman deliver comprehensive dental care to bring out the best in each patient’s smile. If you have missing teeth, consider a life-changing solution: dental implants. Our Massapequa dentists place and restore dental implants to create beautiful South Shore smiles. Dental implants rival natural teeth in look, feel, and function. They have a 93-98% success rate, and, with proper care, last most patients a lifetime. With dental implants, you’ll experience newfound freedom to eat the foods you love, speak and laugh with confidence, and smile knowing that you look sensational! An implant has two parts: a tiny titanium post that serves as a root, topped with a natural-looking replacement tooth or prosthetic. Drs. Dory and Khalida Stutman use dental implants to replace one or more missing teeth and to secure dentures, partials, and bridges. To qualify for implants, you need good oral health and sufficient jawbone mass. The dentist will assess your candidacy, then create a treatment plan to revitalize your smile. Drs. Dory and Khalida Stutman have undergone advanced training in implant dentistry and use implants from Nobel Biocare, a leader in implant technology. During your implant procedure, the dentist will perform all aspects of your smile’s transformation at our comfortably appointed South Shore dental boutique. Our attentive staff will see to your needs before, during, and after implant placement for a positive, successful experience. Dental implants will give you back your smile and dependable oral function. 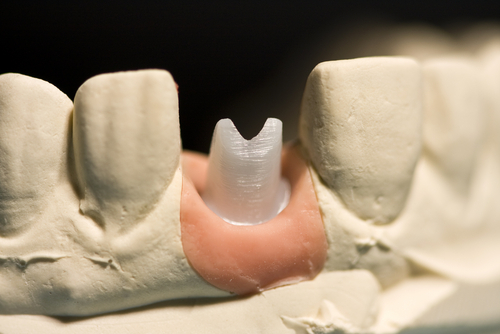 Plus, implants will help you avoid the bone loss caused by missing teeth. A strong, beautiful smile can be yours with dental implants from South Shore Dental Care. Call today to schedule your consultation. by: Dr. Stutman's Office at April 8, 2017 .